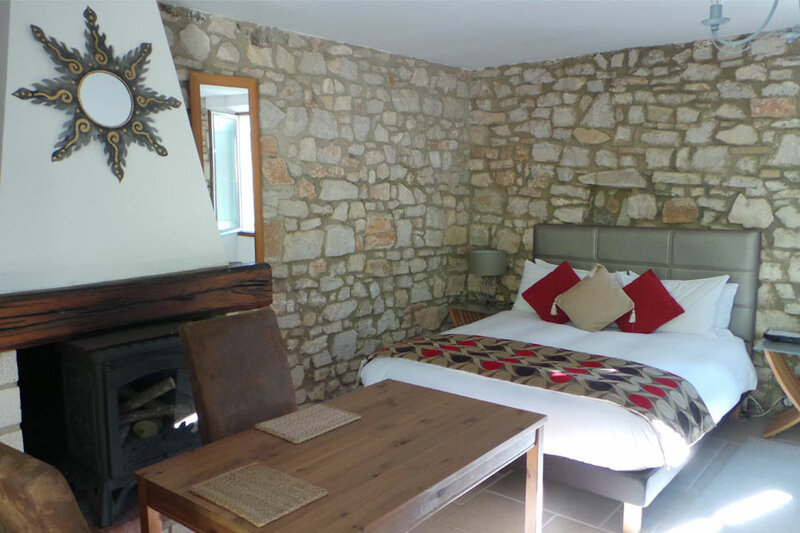 These large studio rooms have thick stone walls and views across the valley. The beds are big and comfortable with Egyptian cotton sheets and pillowcases. 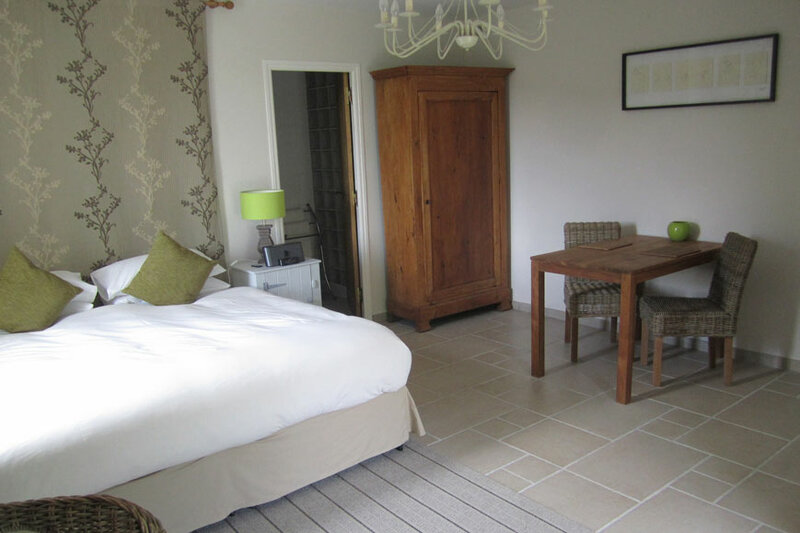 The studios have en-suite bathrooms and dining spaces both inside and outside. The bed in this studio on the lower lever is 'Queen size' and it can be split in half to make two singles. There's even room for a third single bed if needed. 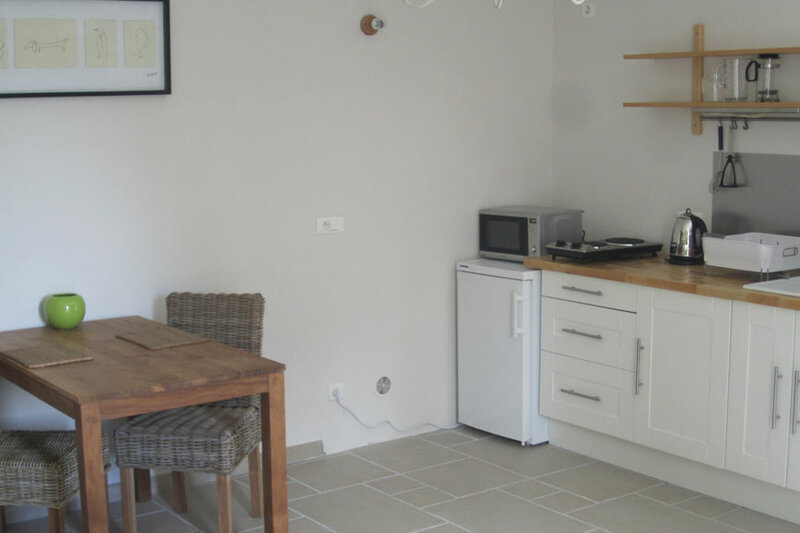 The classic studios have modern kitchens with a hob, microwave and fridge.